Happy Halloween, y’all! Thanks for entering our surprise giveaway over the weekend. We love hearing from everyone! So who won? 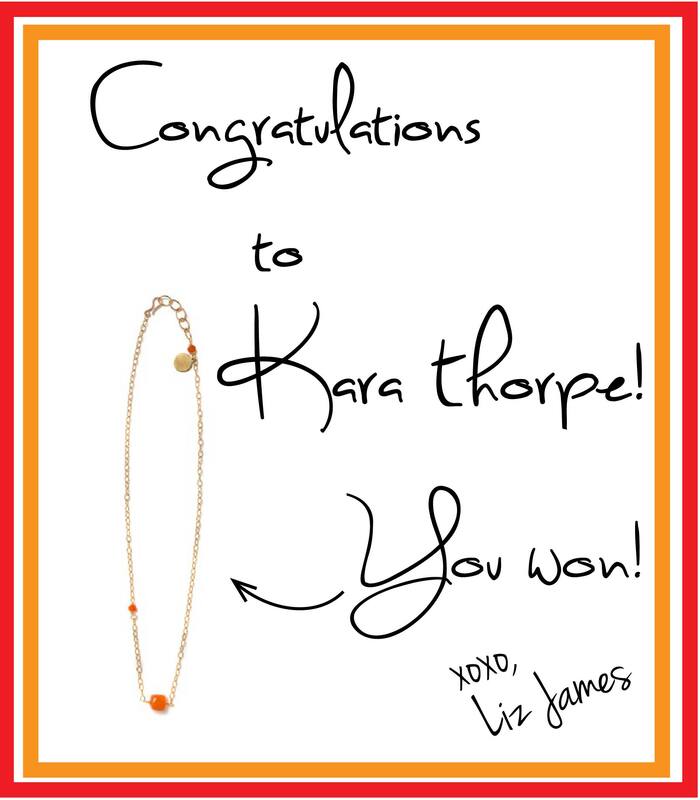 Well, that would be Kara Thorpe! Congratulations! We will be in touch very soon! 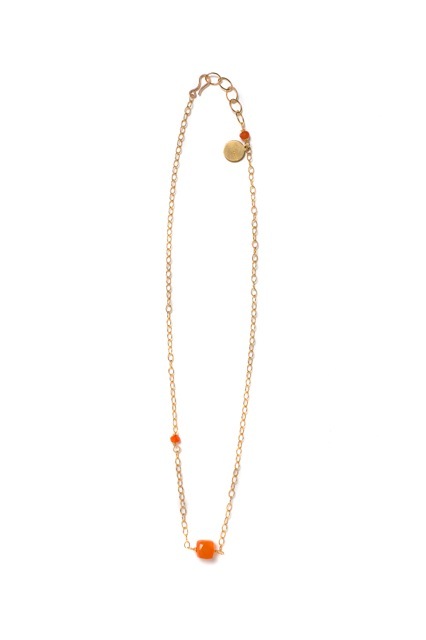 All you have to do is leave a comment on this post telling us you love this necklace and she could be yours! We will pick one lucky winner on Sunday, and let you know Monday who won! It’s as simple as that. Hint: Hit “Leave a reply” to comment. Phew! There is a lot going on this week! 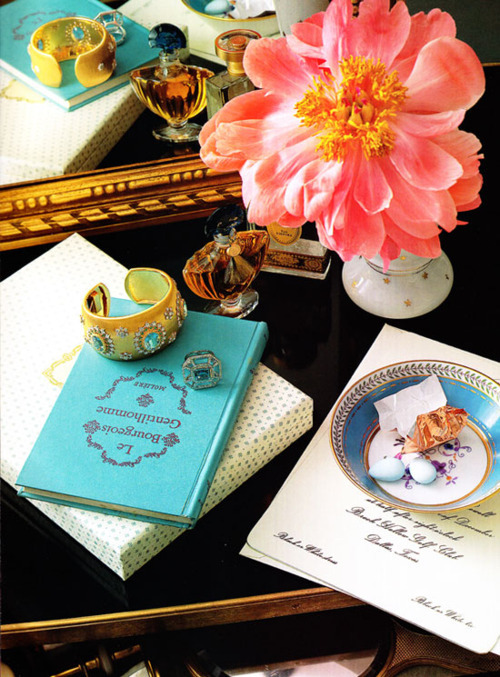 The Liz James crew decided to blog it this week, so y’all would know just where to go and when. First up … AUSTIN, TX CROWD! 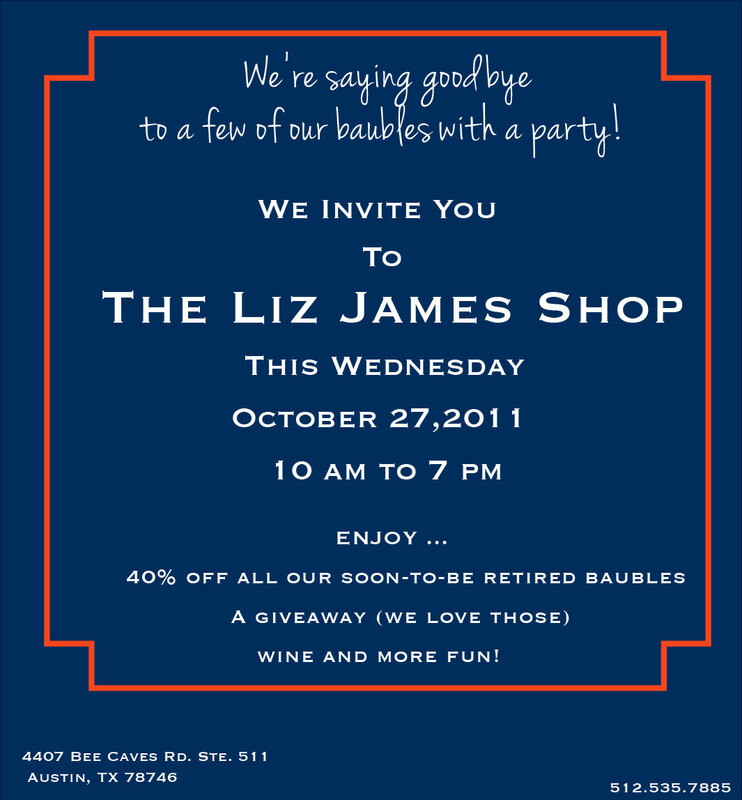 We are having a very fun little shindig this Thursday at the Liz James shop. 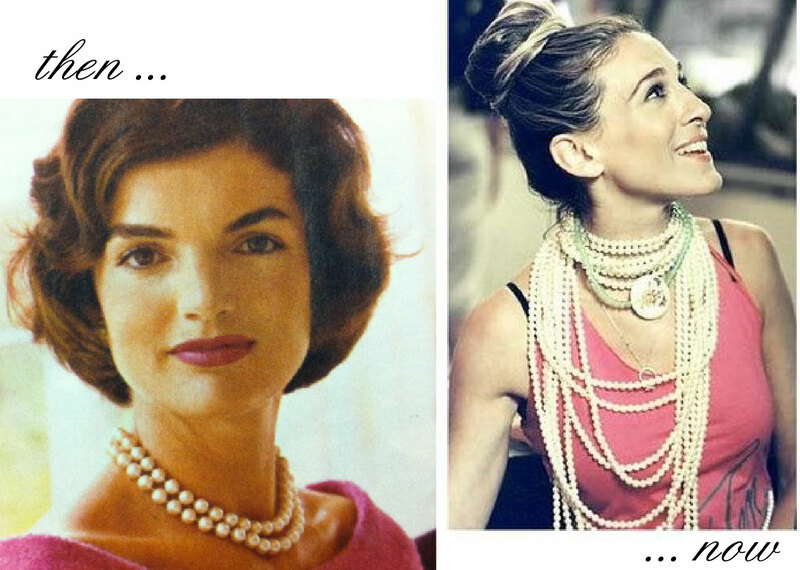 Come bid farewell to our soon-to-be retired baubles with a glass of wine and a 40% off sale. Here is the invite with all the details! We want to see you there! Next up … DALLAS, TX CREW! The Dallas Market Center is hosting the Apparel and Accessories Market from Thursday to Sunday (October 27 thru October 30th) AND we are going to be there. Click HERE for the calendar of events … it should be loads of fun! We have something for you too … a Halloween treat if you will. 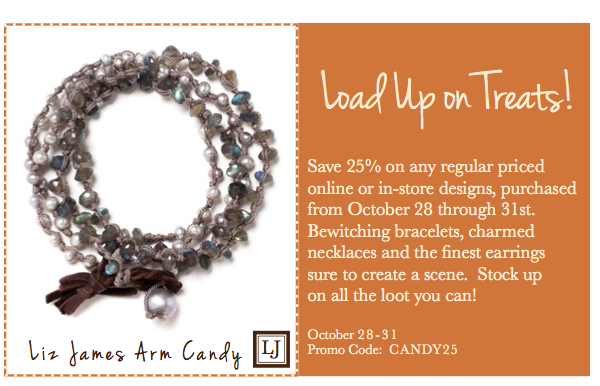 This weekend only anything you buy is %25 off! We suggest you stop by our Facebook page this Saturday for a surprise giveaway … that we’re telling you about now! Costumes sewn? Check. Double-bags for optimal candy retrieval? Check. Faces painted and neighborhood routed? Check, check. You’re ready for the kids Halloween weeks in advance. Kudos to you. Now, their treats may come wrapped in paper and coated in sugar, but yours don’t have to. 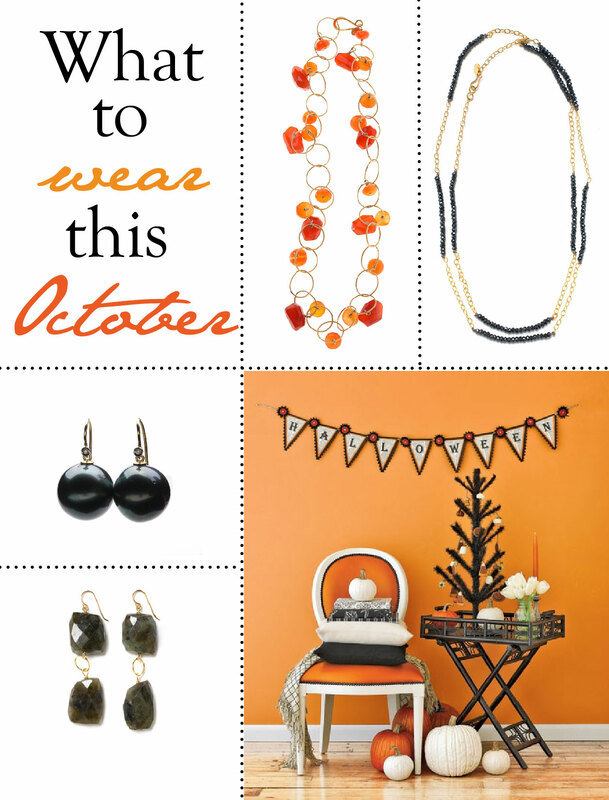 Check out our bewitching Liz James baubles perfect for Halloween. No trick and all treat — just for you. 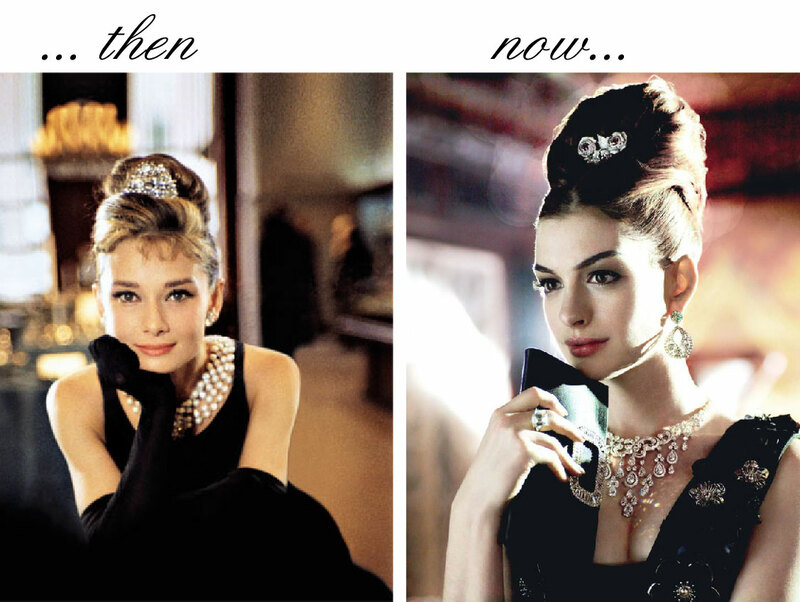 Liz James here, I love how some fashions tend to come around and around again. The very essence of creating classic pieces is that you can take them out of your closet, throw them on, and never miss a beat. 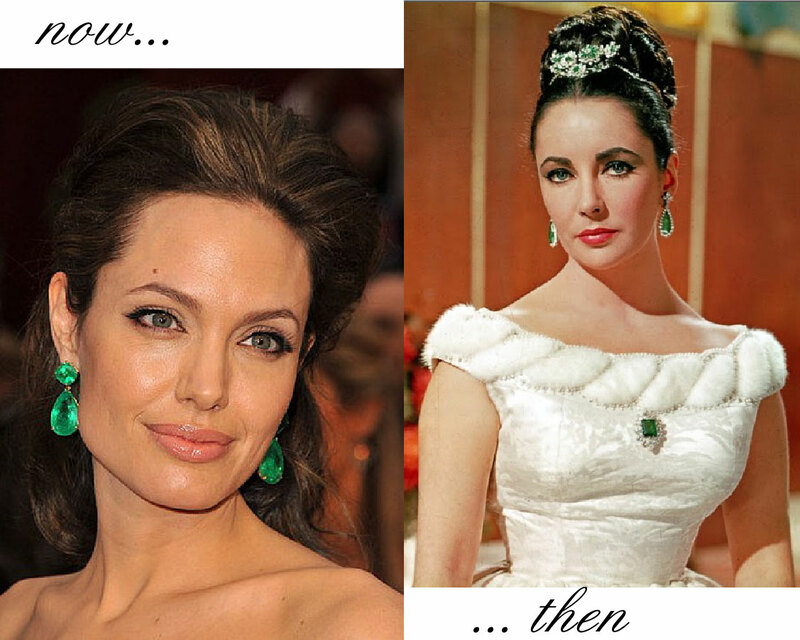 The same can be said of jewelry: Pick a dazzling piece and wear it forever. We just can’t seem to get enough of the emerald greens of this season. Whether it’s draping ourselves in new Liz James baubles or neatly stacking orders with a monogrammed paperweight … we are snatching up all the green we see. 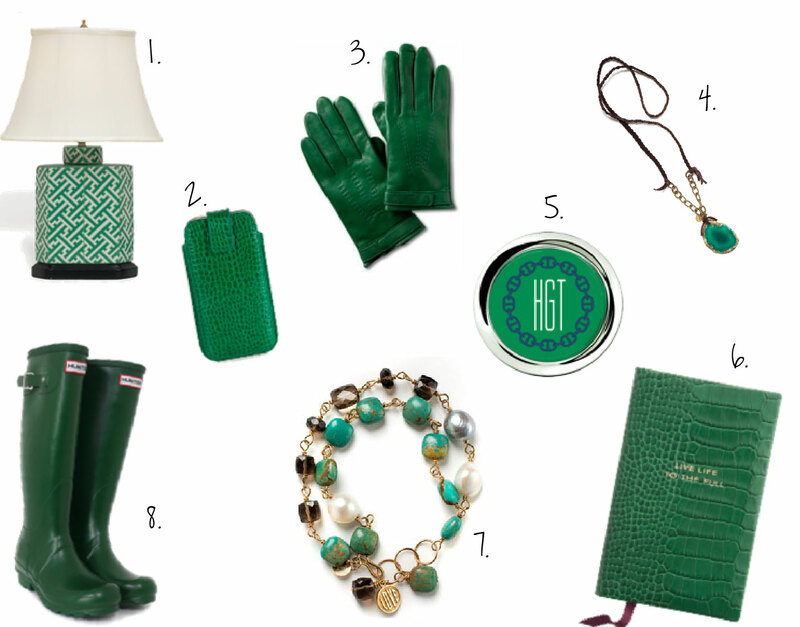 We rounded up our emerald-tinted favorites of the moment. Please feel free to tell us which one is your favorite … oh, and shop the whole list below.